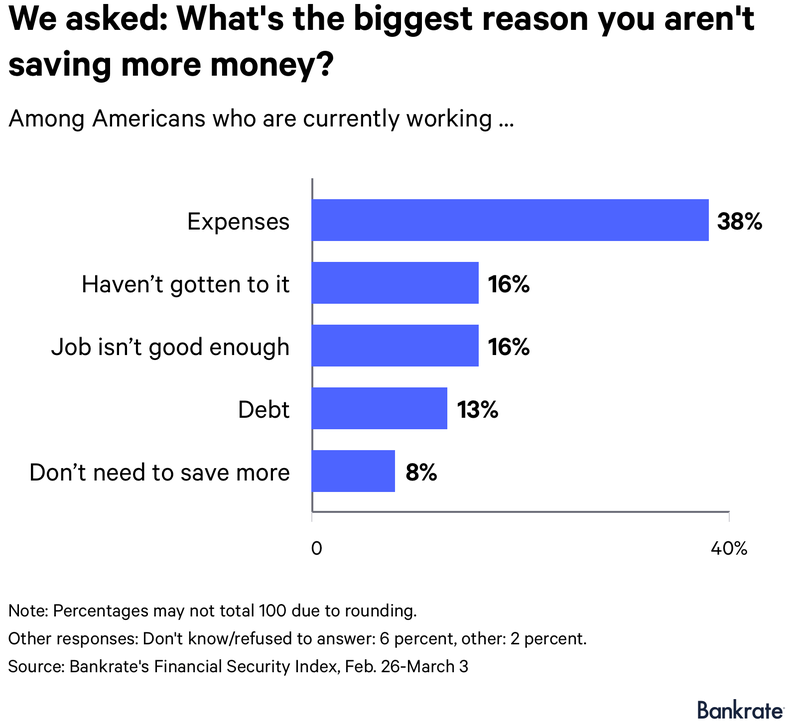 Around one in five adults recently surveyed by Bankrate said that they are currently setting nothing aside for their short- and long-term financial objectives, and another 20 percent said they are only saving 5 percent or less of their annual income for retirement and emergencies. When asked why they are not setting more money aside, the most frequently cited excuse was “expenses.” This agrees with an earlier Boston College study which found that future financial security too often takes a back seat to more immediate money issues. Specifically, the correlation between surveyed U.S. workers’ personal financial assessments and their day-to-day financial troubles, e.g. difficulty covering regular expenses, was significantly higher than with long-term issues such as retirement readiness. In other words people tend to give more weight (value) to their ability to meet near-term outlays when gauging their overall financial well-being. This could result, for instance, in situations where the satisfaction or sense of accomplishment people have from simply being able to cover their monthly bills causes them to sometimes underestimate the importance of saving and other forward-focused financial behavior. 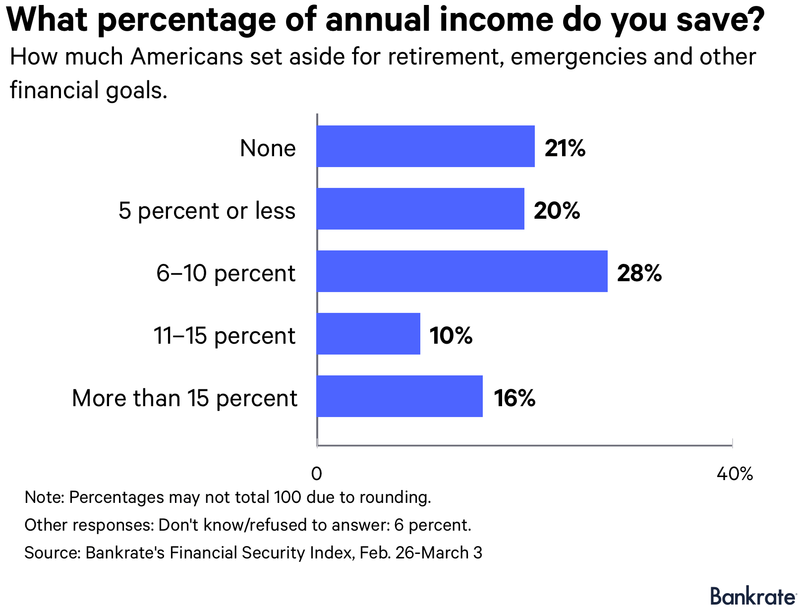 Similarly, a Natixis poll found that 51 percent of Americans said they would agree with the statement “I need my money today,” and 37 percent admitted that they had already withdrawn funds from their retirement account. Thirty-eight percent of these respondents said that they tapped into their long-term savings early for a financial “emergency,” and 19 percent reported that the money they took from their retirement nest egg was used to help purchase a home. 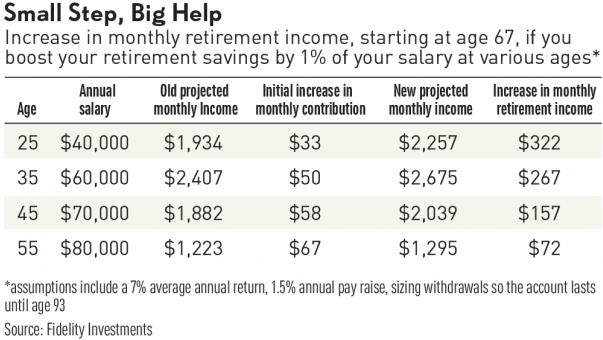 Such behavior may prove to be detrimental to respondents’ old-age well-being considering that survey participants on average said that they expect they will need at least $805,000 to fund roughly 23 years of retirement.